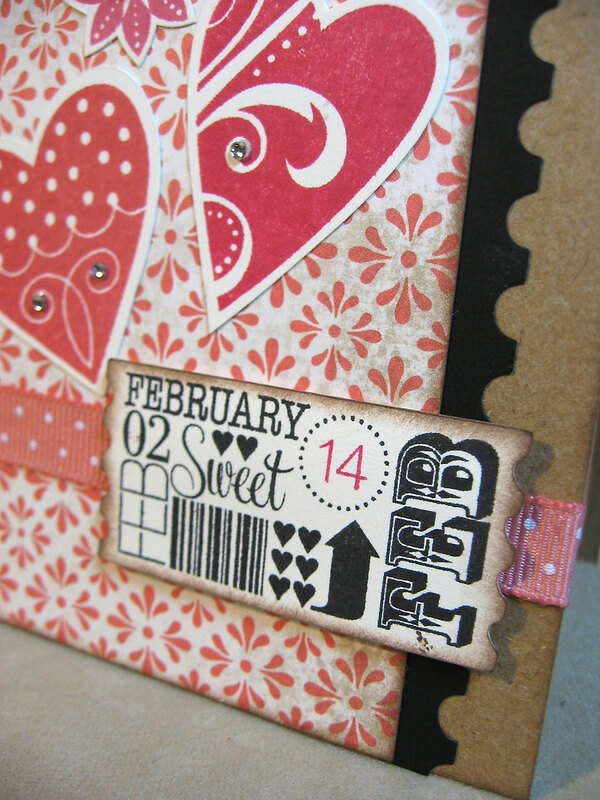 About 60 consultants are participating in this month's Close To My Heart Stamp of the Month blog hop. 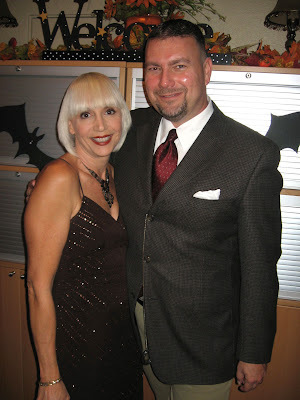 If you're already hopping, you came here from Melissa Laverty's blog. After reading through my post, you'll see where to hop to next. 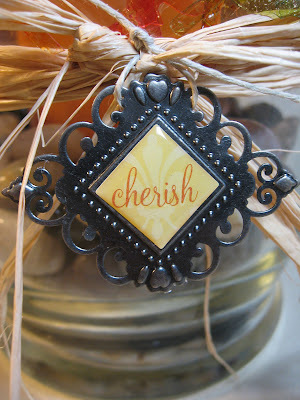 The November stamp set is called Cherish The Day and you can see all the images in this set in the righthand column of my blog. Cherish The Day is a great year-round stamp set with monthly ticket-style images and numbers to go with them. I decided on a seasonal card set as my creation this month. Utilizing the Art Philosophy Cricut cartridge, this was a breeze! Here's a quick look. 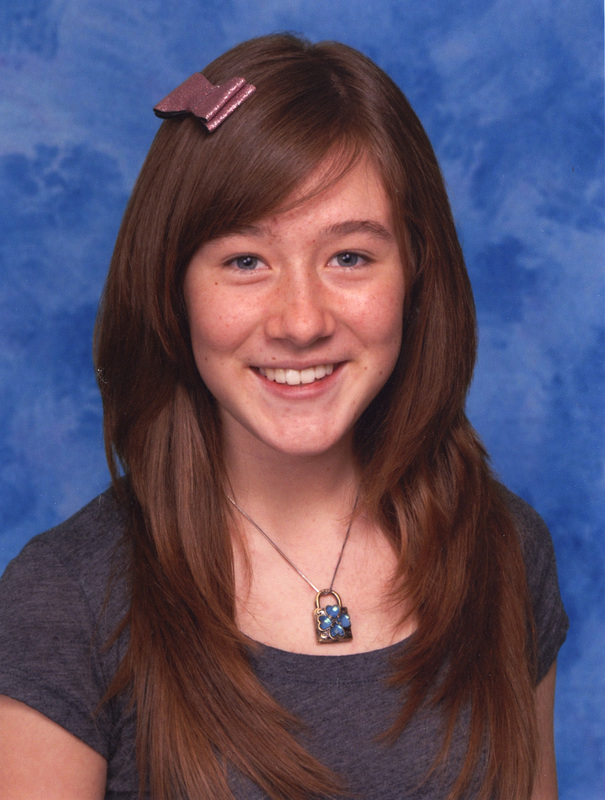 Here are a few close-ups. I love how the sans-serif numbers are separate on the stamp set so you can stamp in the circle of each ticket. 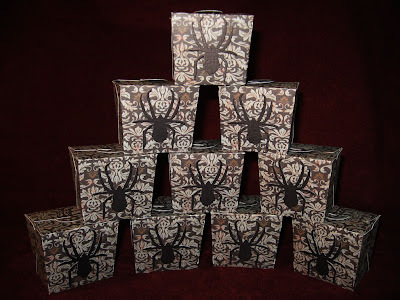 I used the Elemental Paper Pack and Kraft cardstock for each card. They measure 4 1/4 inches square. 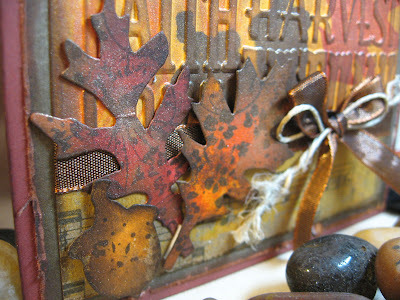 Then after stamping the ticket image from the stamp of the month, I did some more stamping with seasonal images. 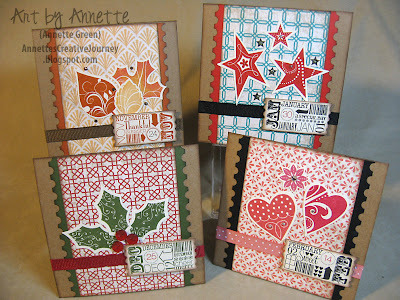 Don't have a bunch of seasonal stamps? That's okay. 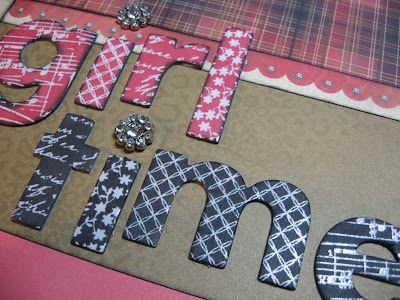 Just use colored cardstock and your Cricut. 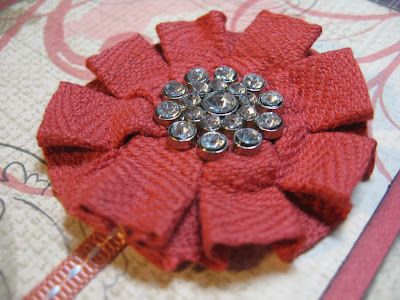 Then added some ribbon, buttons and bling to finish them off. 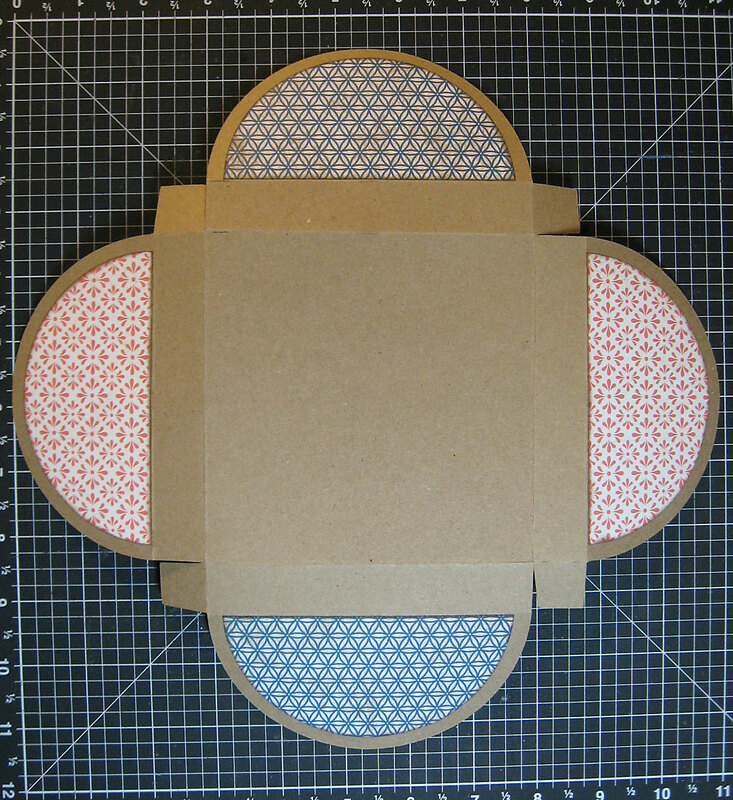 The plan I alluded to earlier was to make a gift box and matching envelopes to create a gift set. Four cards and envelopes fit nicely in this box. All made on the Cricut with the Art Philosophy cartridge. 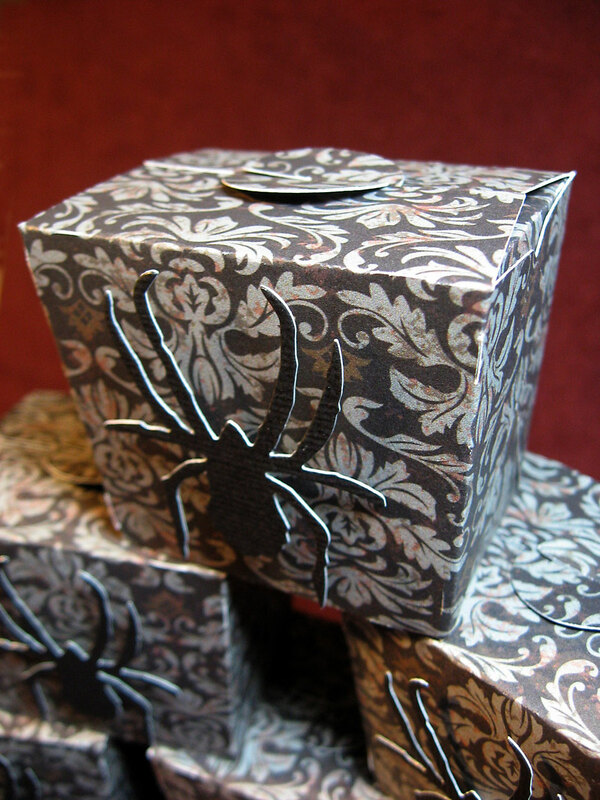 This gift box appears on page 21 in the Art Philosophy booklet. 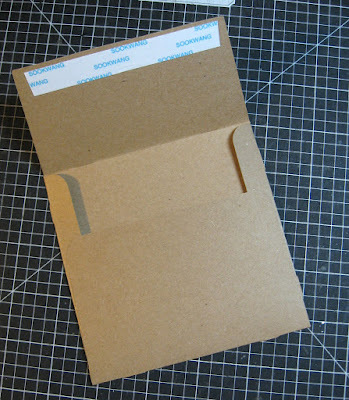 I used Kraft cardstock and set the size to "Fit to Page." This made a box base of about 4 1/2 inches. 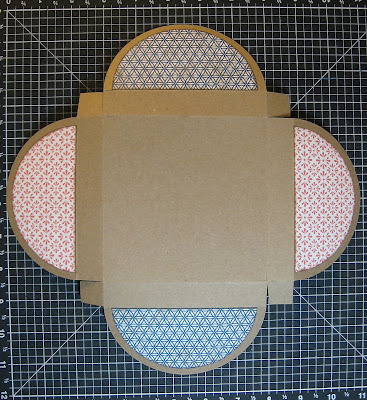 Then I cut two circles from the Elemental paper at 4 1/4 inches, then sliced each one in half and adhered them to the half circles on the box. Here's how it looks closed. Love this! 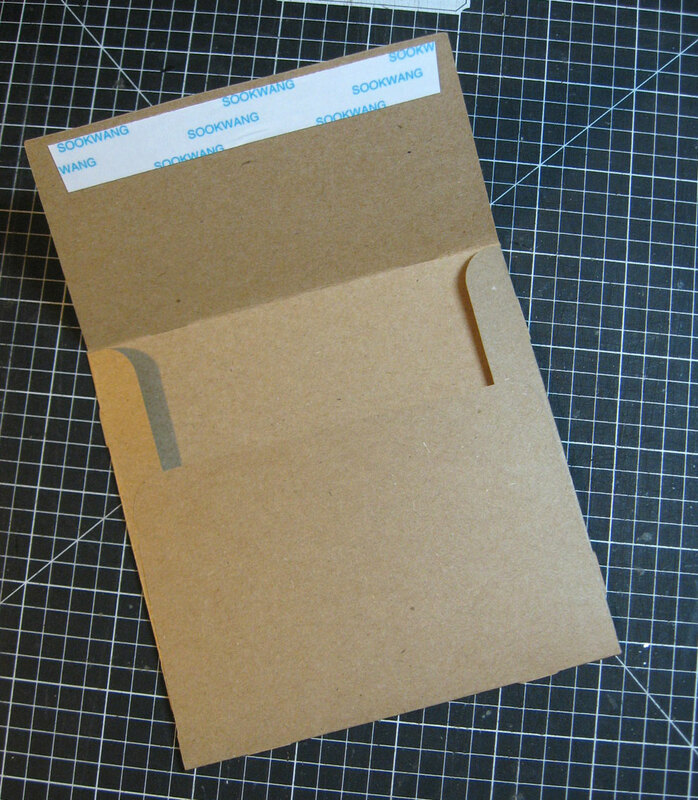 The envelopes are cut from the Art Philosophy cartridge (page 29 in the booklet) at 4 1/2 inches. After adhering the sides, I put a strip of Scor-Tape to make peel & stick flaps. I placed all the envelopes in the bottom then the four cards on top. Perfect fit! That's it for me. 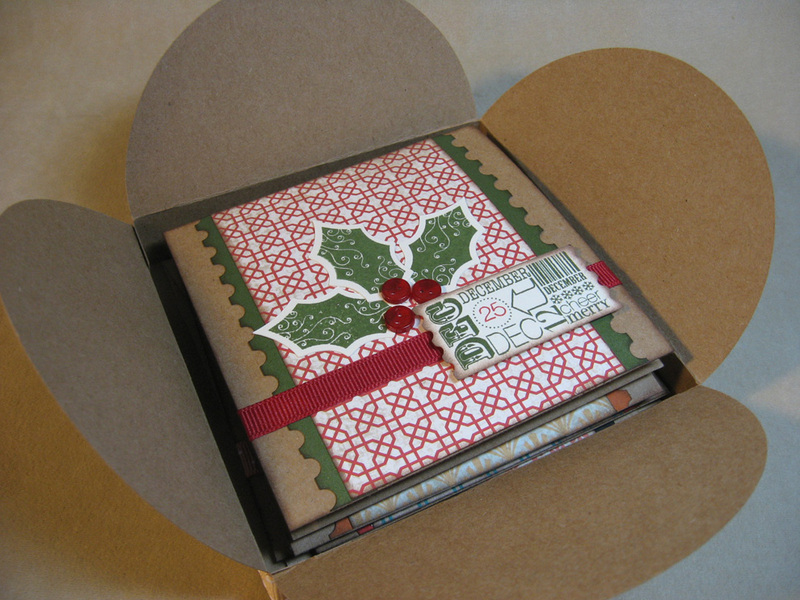 Now hop on over to Heather Schmuckal's blog to see what she's created. And don't worry, if you get lost along the hop or encounter any troubles, you can view the entire list of hoppers at Helen's blog. "I mean GO. It's your break, honey." What fun we had last night at my friend (& neighbor) Patty's party. 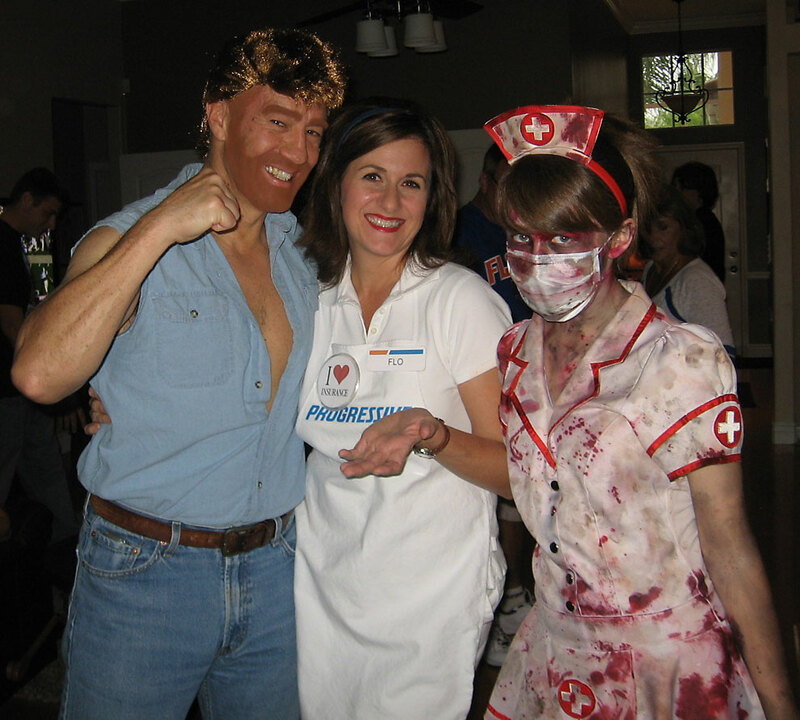 Chuck Norris, Flo from Progressive, and a zombie nurse. 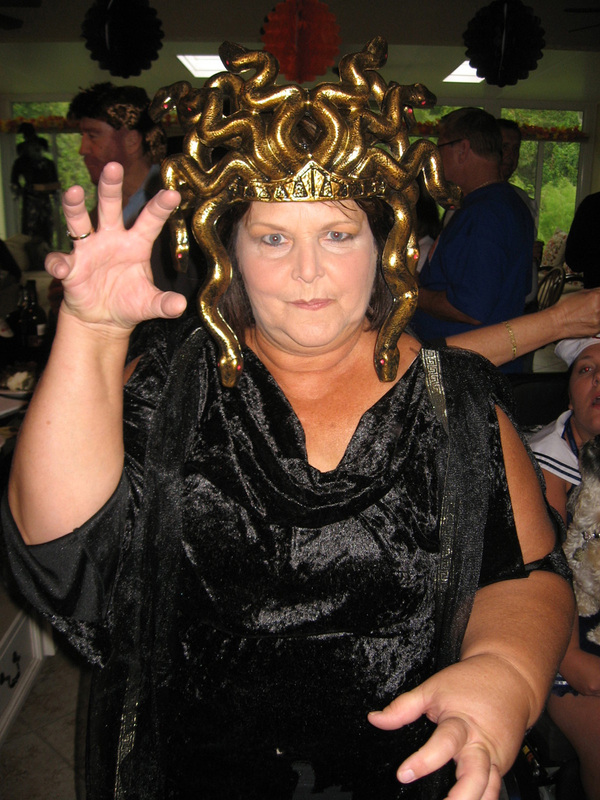 Here's our grand hostess Patty who pulls together this fantastic Halloween party every year. 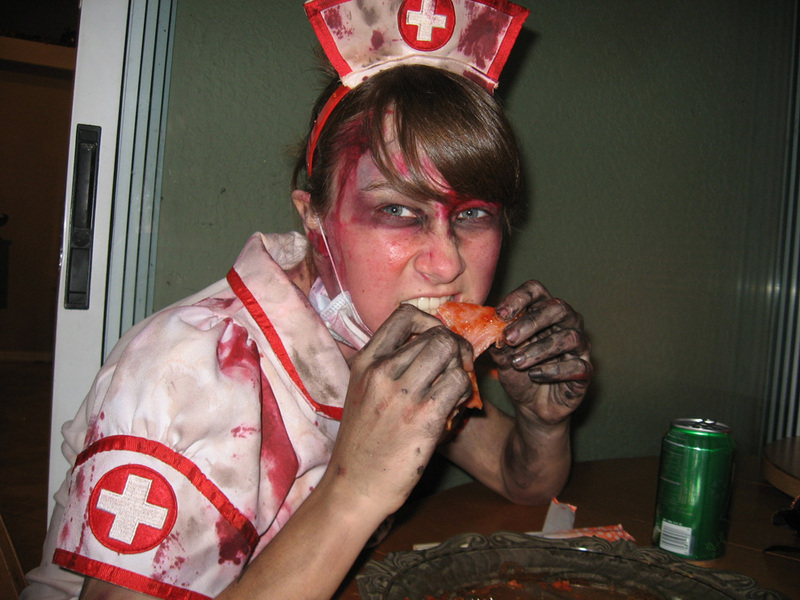 So much delicious food and drink and everyone dresses up in costume. It's awesome! Thank you Patty for all the hard work and fantastic food and fun. You are truly still a kid at heart. We initiated our new neighbors Michelle and Jeremy at this year's party. 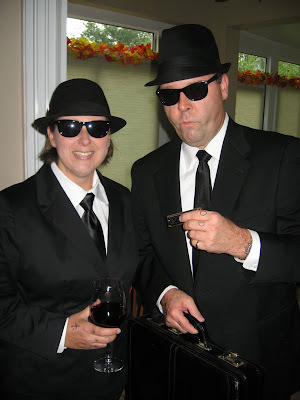 They were great as the Blues Brothers. Ellen and Greg. 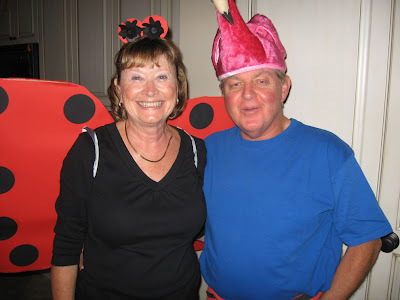 Lady bug and Flamingo....? 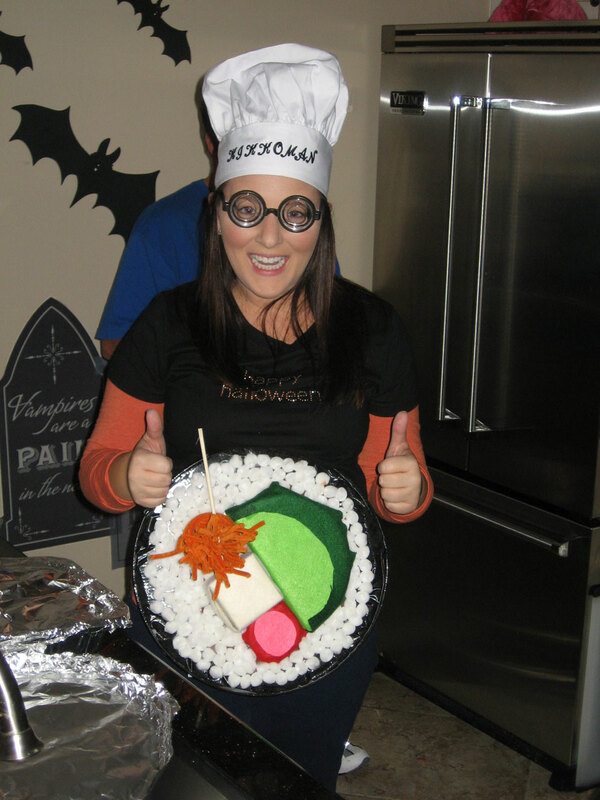 Jen was so clever as sushi. Tom and Dotty as the king and queen. Joyce and Jeff came as a 1940's film star and director. 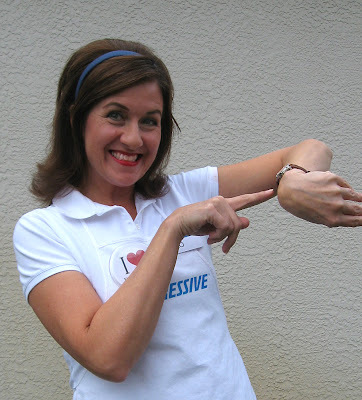 Thankfully not many people recognized my sweet, pretty Jamie in this get-up. 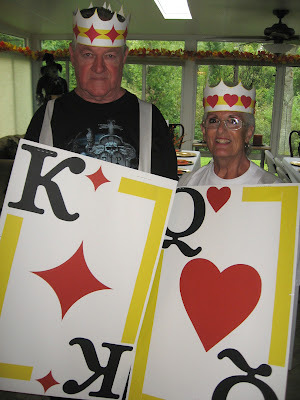 She altered her store-bought costume and did her own make-up. 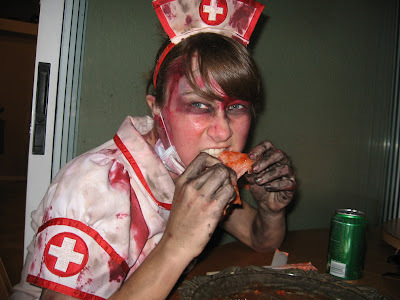 Here she's eating a piece of ham with ketchup on it. Sure doesn't look like the same kid to me. Jamie and her new neighbor pals. Finally some friends her own age to hang with! Flo's getting a little chest action with Chuck Norris. 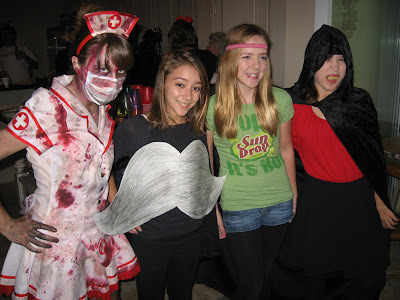 Hope your Halloween is fun! Thanks for stopping by. 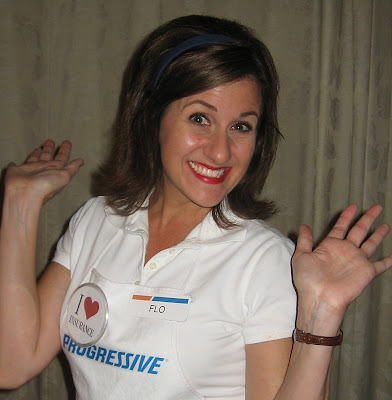 Along with many of you bloggers out there, I absolutely LOVE Halloween. I can't wait for my friend Patty's Halloween party tonight and to share my costume with you tomorrow. 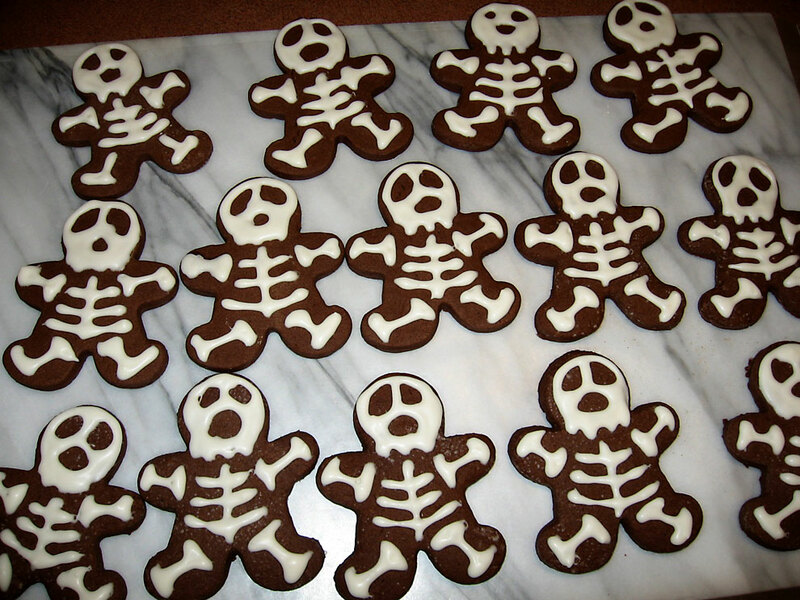 I also love to cook and bake and especially to make decorative foods like cookies and cakes. With all my clubs and classes, I have a great opportunity to make fun treats to share. I saw this idea in my recent issue of Cooking Light magazine. 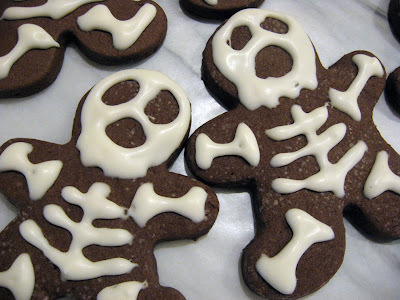 I love that these cookies start with a gingerbread man cookie cutter. So easy! They are actually chocolate cookies, but I have to admit I didn't use the recipe from Cooking Light. 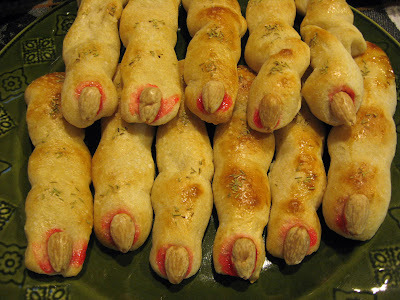 I have a favorite Martha Stewart recipe I like to use. Last night my Cherish Club got to enjoy these little take-out treat boxes I made from the Art Philosophy Cricut cartridge and Close To My Heart's Mischief paper. I added Tim Holtz's spider from his Candlelight Fright Alternations die. But what's inside, you ask? 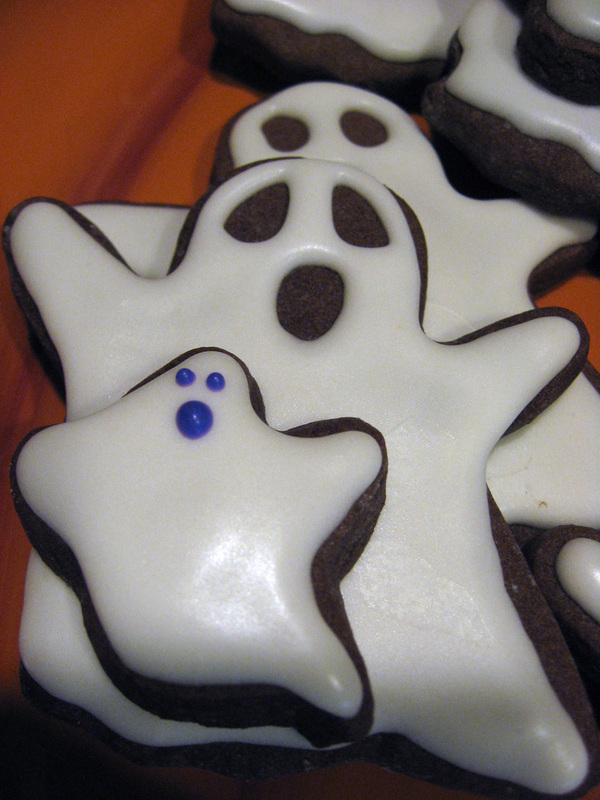 A bit of a tricky treat. These are white chocolate skeleton skulls made from a Martha Stewart candy mold. How delicious do these look? 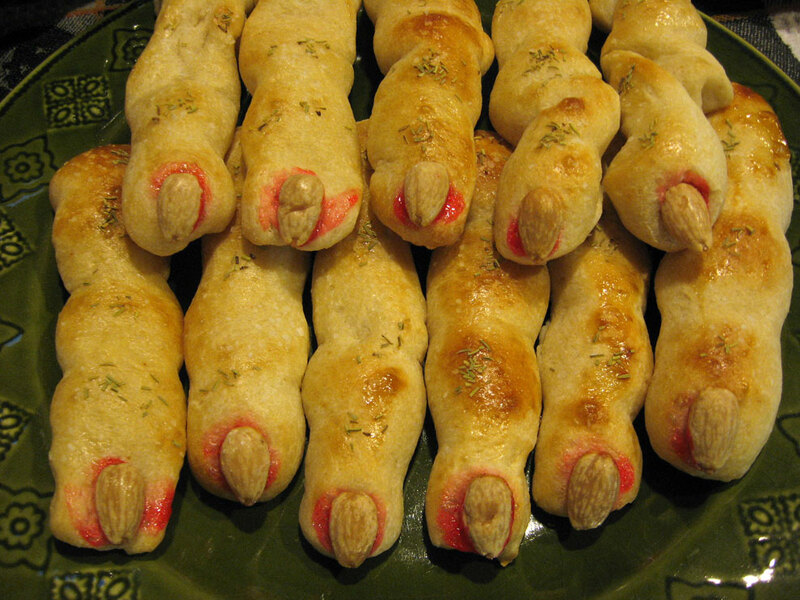 Witches fingers made from Pillsbury refrigerated breadstick dough. I shaped them all knobby-like, then brushed them with an egg-wash and added a blanched almond with some red food coloring gel. I sprinkled a bit of rosemary and salt over them and then popped them in the oven. Yum! 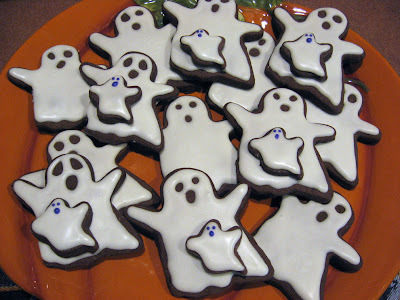 I had plenty of chocolate cookie dough and royal icing made up so I made these fun ghosts. Pretty easy to do and fun to eat. Thanks for stopping in today. Hope you have some wicked fun this weekend! 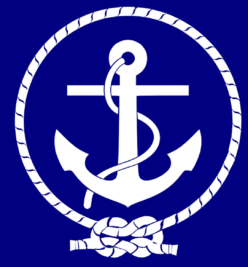 My All Things Tim Group meets next week and I've been having fun designing the project today. Using Clearly for Art Clear Modeling Film (Studio 490/Stampers Anonymous) and Tim Holtz's Adirondack alcohol inks (Ranger), this was indeed FUN! First take a look at the glass hurricane we'll be making. 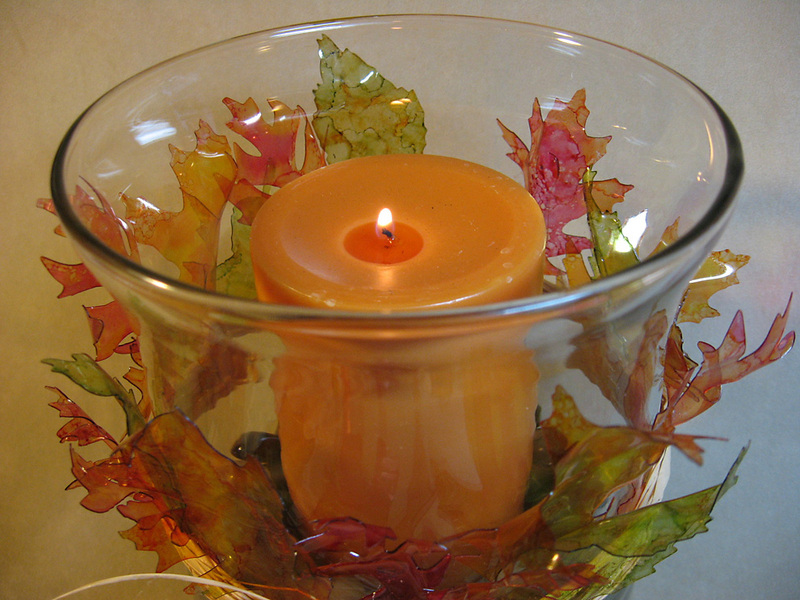 The glass hurricane measures 8 inches high and about 6 inches in diameter. The leaves are made from the clear modeling film cut out with Tim Holtz's Alterations Dies: Tattered Leaves and the Mini Tattered Leaves Movers and Shapers set. I used alcohol inks in warm fall colors like Cranberry, Sunset Orange, Sunshine Yellow, Lettuce and Meadow. Then I heated them up and shaped them how I liked. What fun this is! 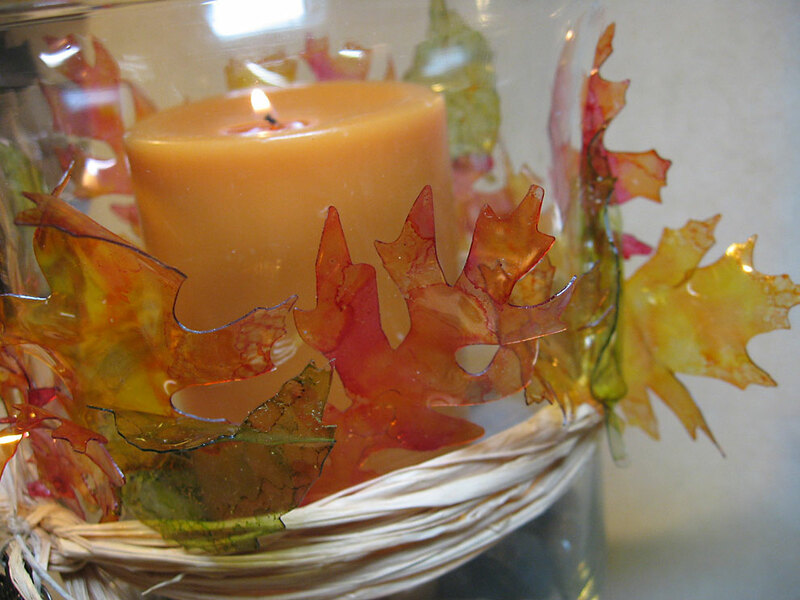 Then a little hot glue to get the leaves onto the glass. I tied some raffia around the middle of the vase which made an additional anchor point for the leaves. With some natural twine, I affixed this metal charm (Making Memories) to the front raffia knot. 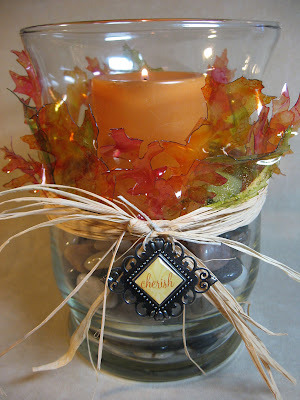 To finish it off, I placed a 6-inch pillar candle in the vase, then surrounded it with rocks. I think this will be a nice centerpiece for the Thanksgiving table this year. Thanks so much for stopping by today. It always means a lot to me! Sorry I haven't blogged since last Wednesday. I'm not lazy. Really I'm not. I'm constantly busy with something. Anyone who knows me knows that. 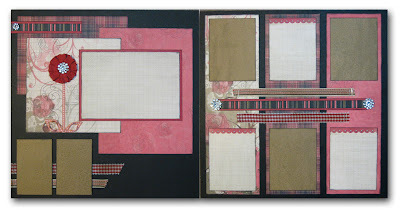 And while my datebook reflects other projects that I was supposed to do today, I couldn't help but put them off just a little while longer so I could play around with the Grungy Monday challenge this week from StudioL3. 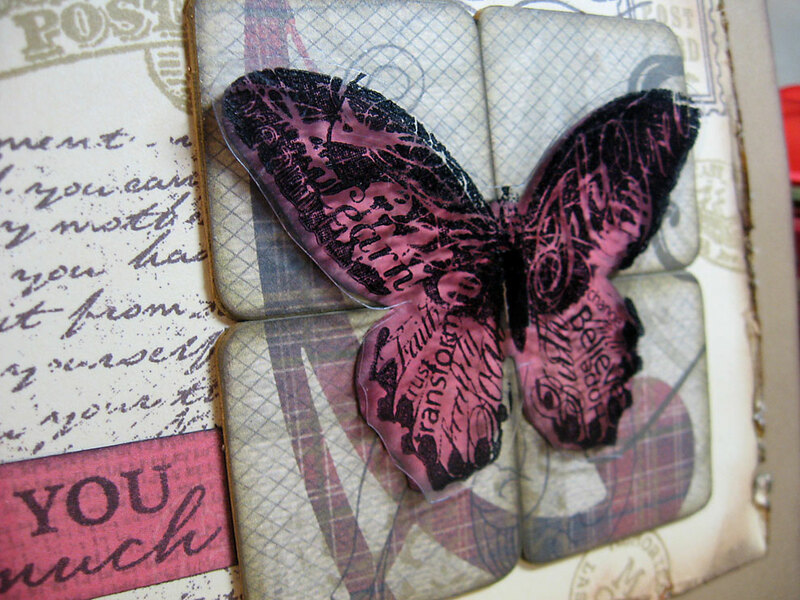 Challenge 24 features a fun technique by Tim Holtz which we will call "Perfect Distress" where Perfect Pearls powder meets Distress Inks to create a very cool, unique background effect. Check out Tim's video here to watch the master at work. Then be sure to head over to the StudioL3 blog to check out all the creations those clever crafters submitted this week. Now let's take a quick look at how it came together. 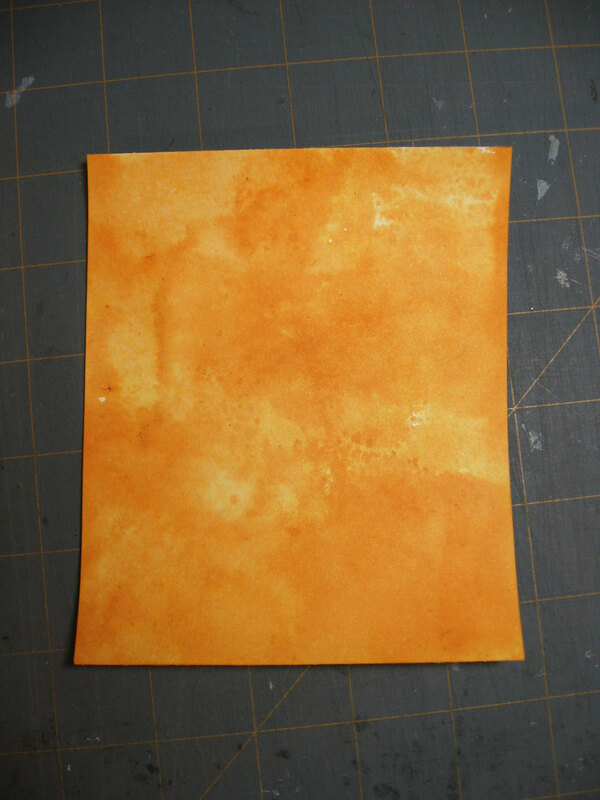 I took the Wild Honey pad and rubbed it on the craft mat then spritzed the area with water, and patted my cardstock into the color, making sure it was sort of blotchy. 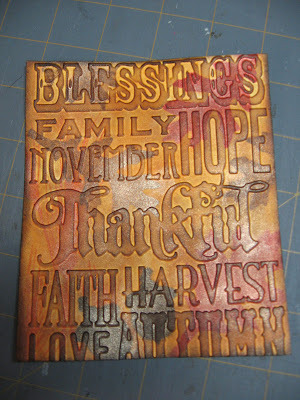 Using Tim Holtz's "Thankful Silhouettes" stamp set, I stamped several of the images in fall colors, then (as Tim did) I brushed on some Perfect Pearls powder. In this case I used Bronze. Then I spritzed all over with water and dried it with the craft dryer. 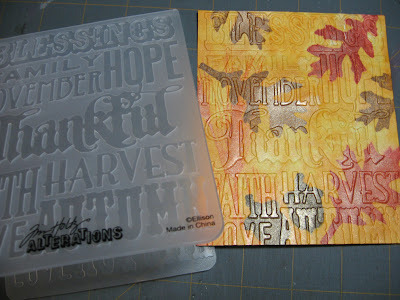 Ever since Tim posted this product technique on his blog a few weeks ago, I knew I had to have every single one of his seasonal Texture Fades and stamps that coordinate. Also on that same post, he includes a video to follow along so make sure you check it out. 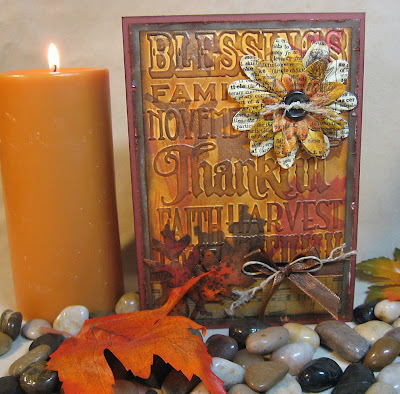 Here on my card, I used the "Thankful Background and Border" set of Texture Fades over my background piece. 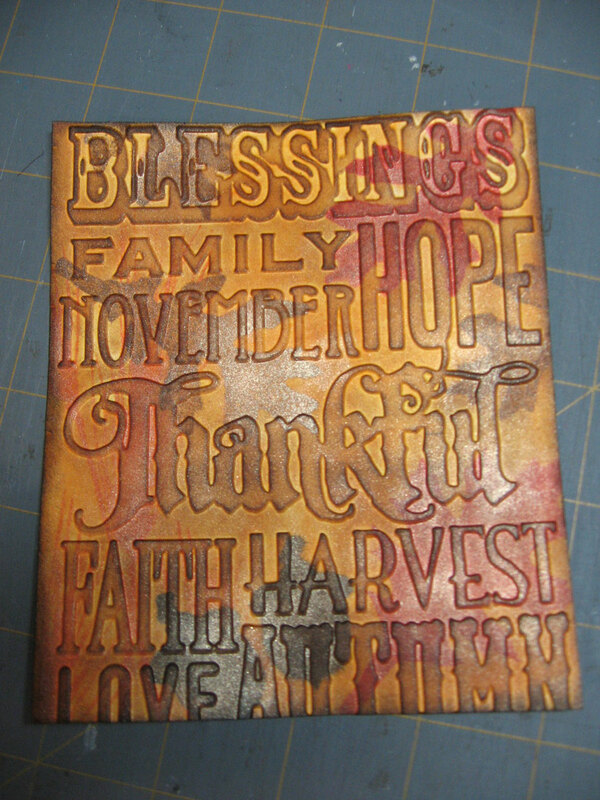 Vintage Photo and Walnut Stain are my 1-2 punch for ink-distressing. I do it on everything. Here I rubbed Vintage Photo over the top of everything and then Walnut Stain around the outside edges. 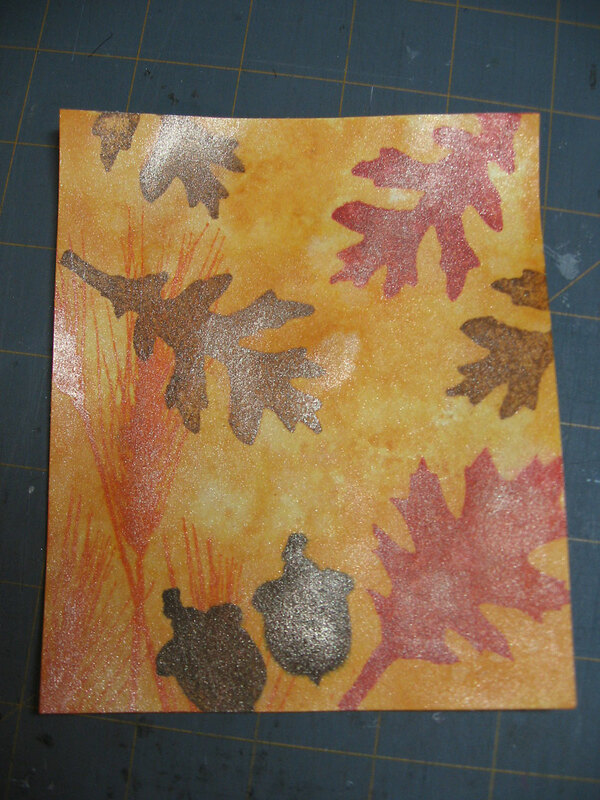 Using some of Tim's newest Sizzix Alternations Movers & Shapers Dies "Mini Tattered Leaves" and "Mini Acorn and Pumpkin" I cut out two leaves and an acorn and repeated the color and pearl technique shown above. I stamped some splatters over them using a stamp from the "Artful Flight" set. 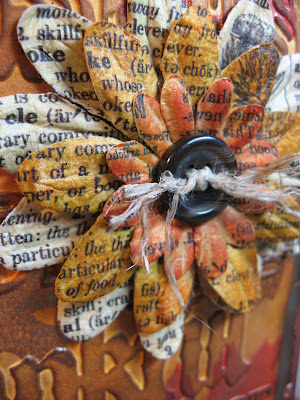 I love these flowers that I purchased on the ScrapMap cruise. Tim was selling them in the Marketplace. 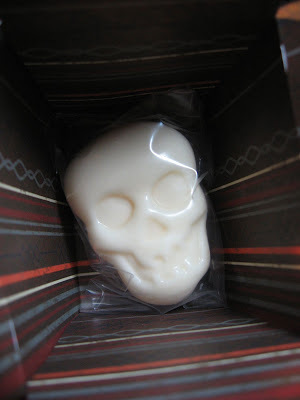 I was hoping to pass on the company who makes these, but they are packaged in clear cello bags with no label. I bought three packs I loved them so much. 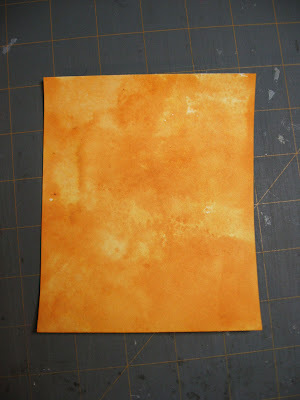 I inked two of them here with Wild Honey and Fired Brick distress inks. An old button and some frayed twine finish it off. I think I'll go put this card in my Etsy shop now. Thanks for stopping by and taking a look. 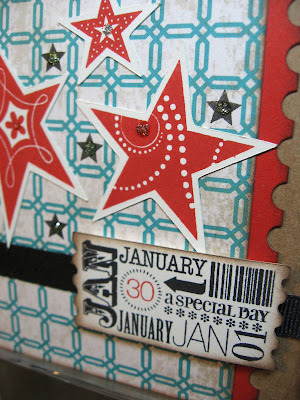 This month is all about Close To My Heart's new Roxie paper line and coordinating embellishments. First up are the projects for my upcoming Cards & More Club. 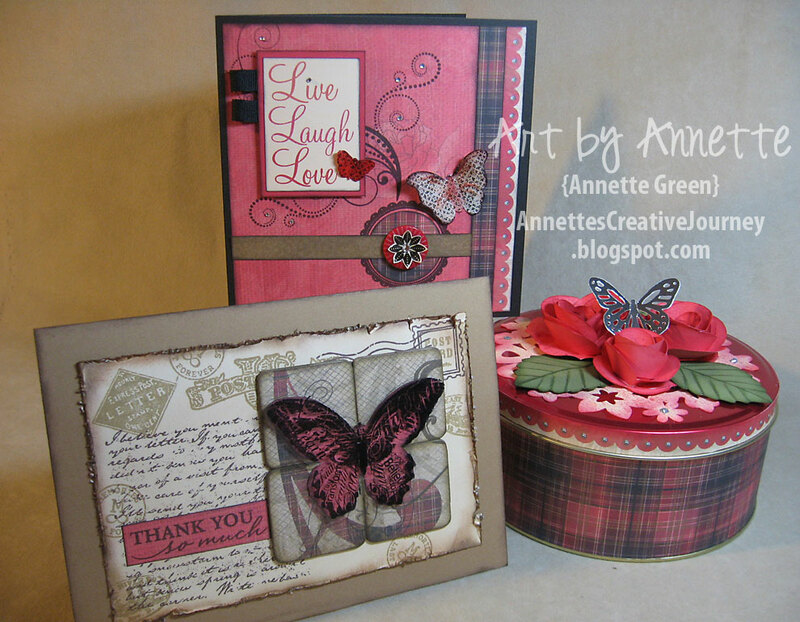 This club meets monthly to make two cards and one altered project while learning new techniques and how to use new products. The Roxie papers are great for more feminine projects since the color scheme is mostly pink and black. Be sure to check out all the prints in this pack here. This great stamp set is called "Love Life." I added some Bitty Sparkles and Flutter Paper Shapes (butterflies) along with some ribbon and a large button. Liquid Glass was poured over the entire surface of each butterfly and set to dry. I propped up the wings a bit while the Liquid Glass dried so they stayed in this position. I hope this stamp set comes back as a regular item. 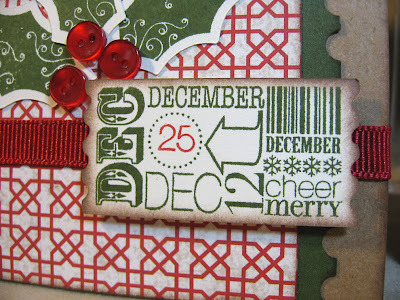 It's one of our Stamps of the Month from last season called "Find Your Style" and it's one of my all-time favorites. 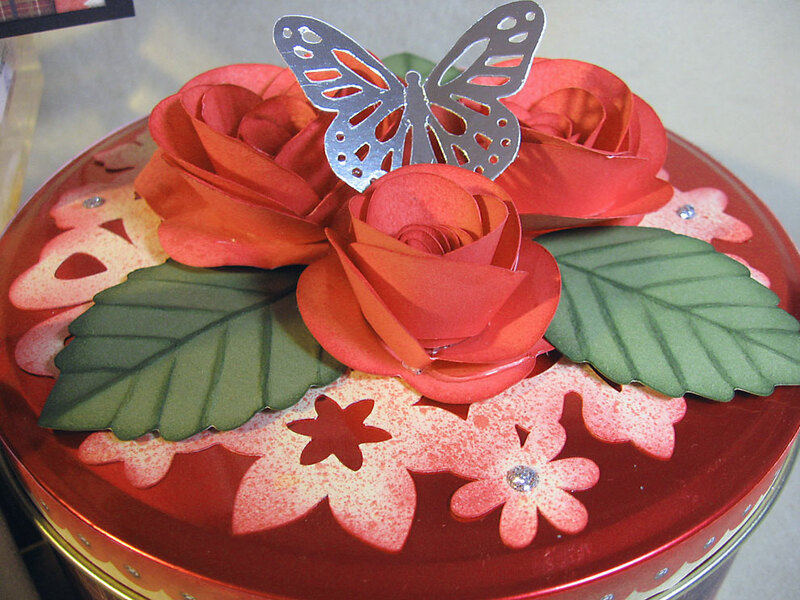 It includes a dressform, a bird, a high-heel shoe and this butterfly along with phrases and words. 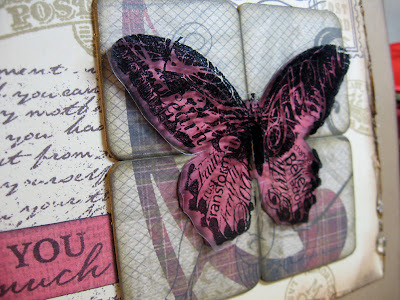 Here I stamped the butterfly onto acetate using Black Staz-on ink then layered it over Smoothie cardstock. 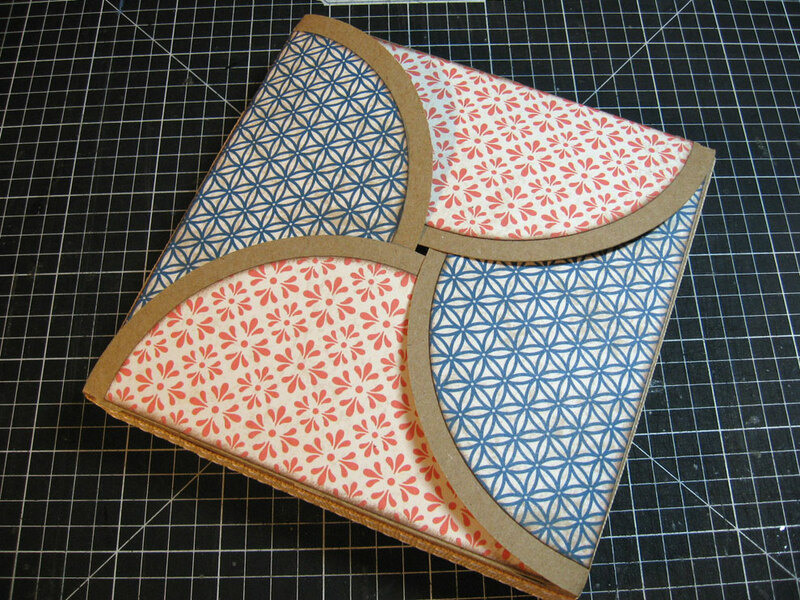 The four squares behind it are chipboard covered in paper and butted together. 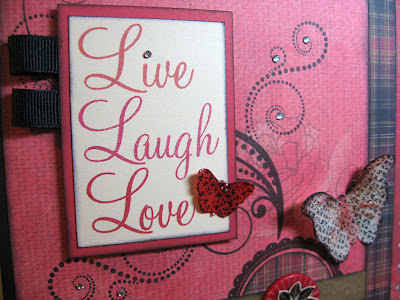 I got this inspiration from a card I saw in PaperCrafts magazine a few months back. This red circular tin came from my local dollar store. Luckily it was plain with no holiday prints on it. This worked out perfectly with the colors in the Roxie papers. I made the paper flowers using Smoothie cardstock and the Art Philosophy Cricut cartridge. Each flower is a little different in size and then spritzed with a Spray Pen filled with a mixture of water and Smoothie re-inker plus a little bit of Pearl Paint added for shimmer. 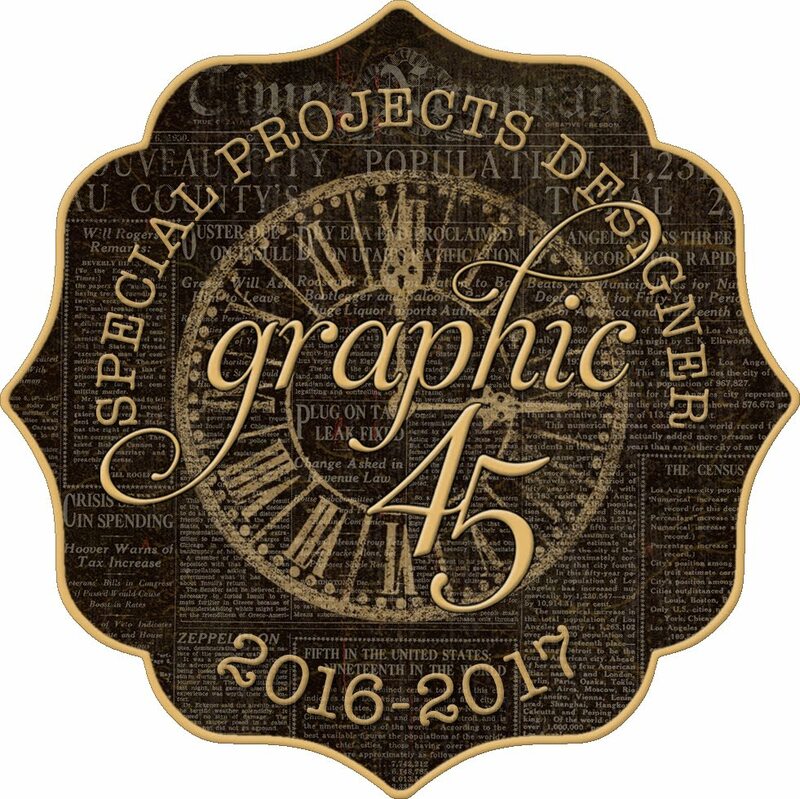 The background piece is one large circle cut from Vanilla Cream cardstock on the Cricut, then sprayed with the same spritz. 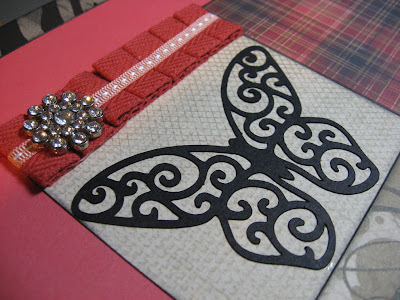 The butterfly is Silver metallic cardstock punched with a Martha Stewart punch. Next up are the four scrapbook pages for my Cherish Club which also meets monthly to focus on scrapbook pages, techniques and products. 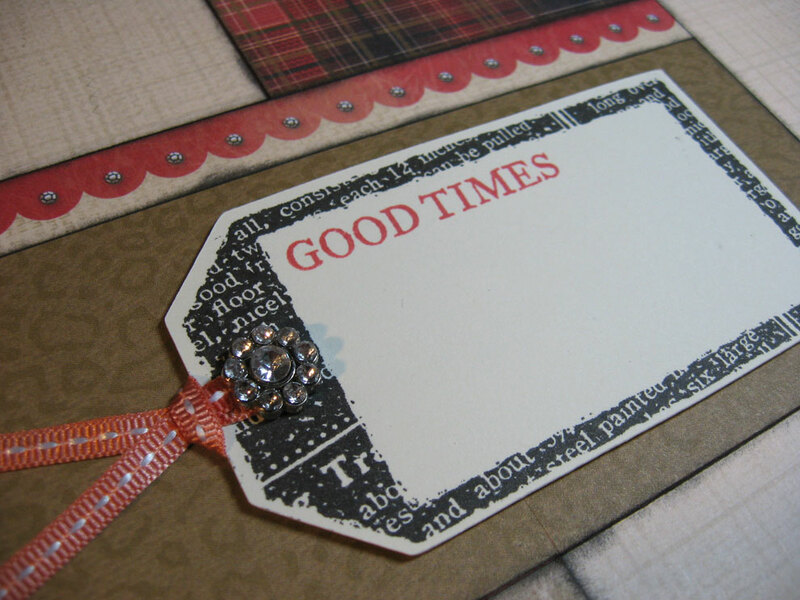 Along with the Roxie papers we will be using the new Rhinestone Designer Brads, Red Collection of Designer Ribbon and Irresistibles Eclectic Alphabet chipboard. I'll be adding a title to the second layout once I know what I'll use the pages for. The two black butterflies come from the Art Philosophy cartridge as well. I love how clean this cut turned out. 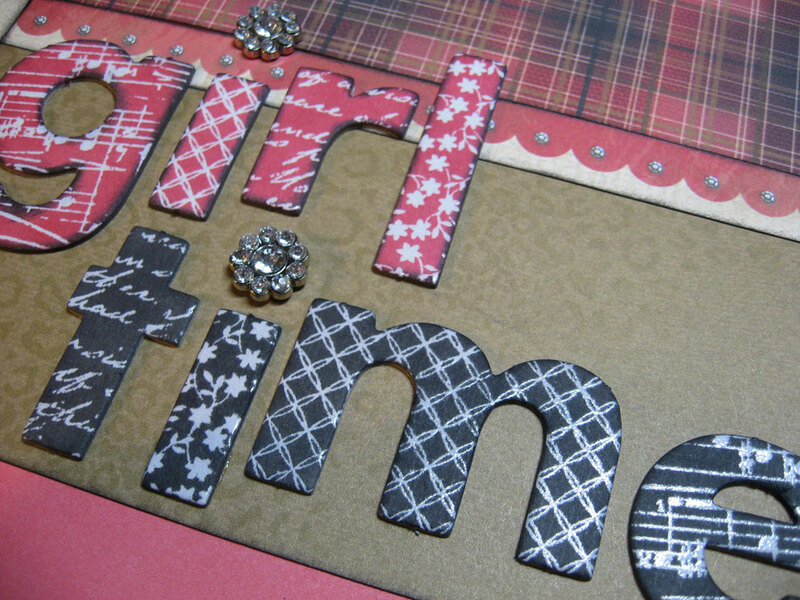 These chipboard letters start off white and since they have a unique resist pattern on each, you can rub color over them and get this great look. Here I used Smoothie and Black. I love using the new "zip strips" off the top of our papers as an added embellishment to the page. 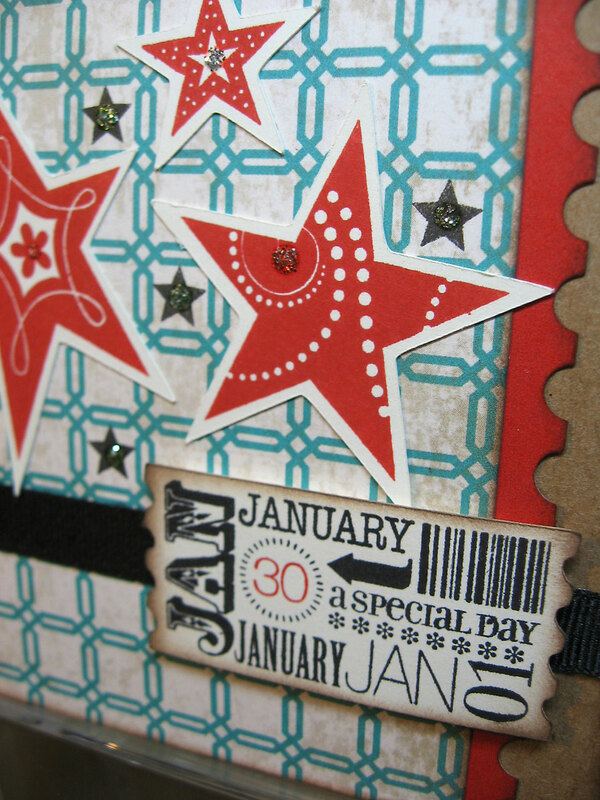 (See the scalloped border with the little sparkles?) The stamp for this journaling tag was last month's Stamp of the Month "Limited Edition." 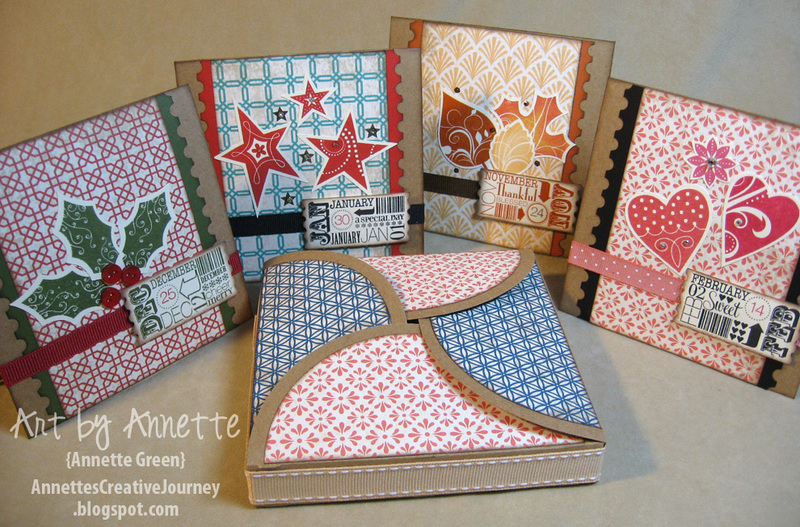 Another great set that has a coordinating Cricut cut-out on the Art Philosophy cartridge. What an easy flower to make using our pleated & stitched ribbon from the Red Collection. I just glued it to itself in a circle and popped in the large Rhinestone Designer Brad. And finally is my super easy Kit of the Month. 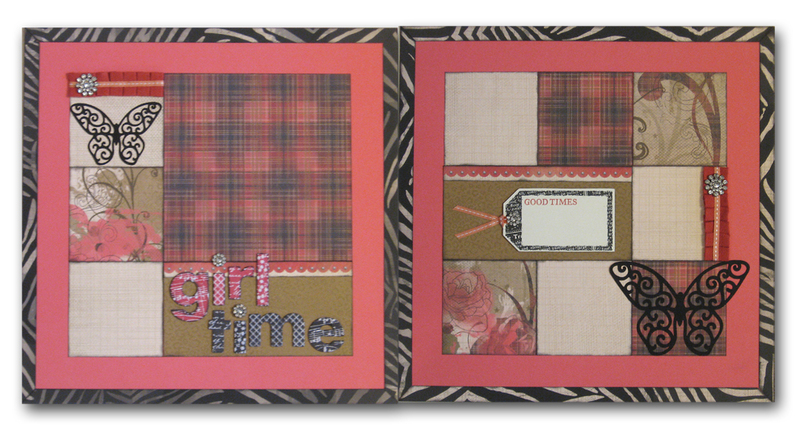 Four more scrapbook pages for those who don't have a lot of time. 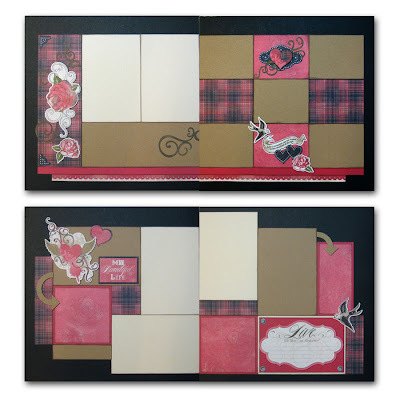 I utilized some of the papers from the Roxie kit plus the Roxie stickers for these pages. Easy to follow cutting guides, photos and tips are included in each kit every month. Well, I think I've maxed out my Roxie stash of papers. What fun they are to create with. Thanks for stopping by and have a fantastic day!